Alisha is our new administration officer at The Organic Place but she is no stranger to an organic lifestyle. Very early on in life, Alisha cottoned on to the fact that her body reacted badly to pesticides. Ever since she could cook for herself, Alisha has purchased organic produce. She loves that her family reap the benefits of their healthy lifestyle. We are so pleased to have her on board at The Organic Place. Here is her organic story. Tell us a bit about yourself. 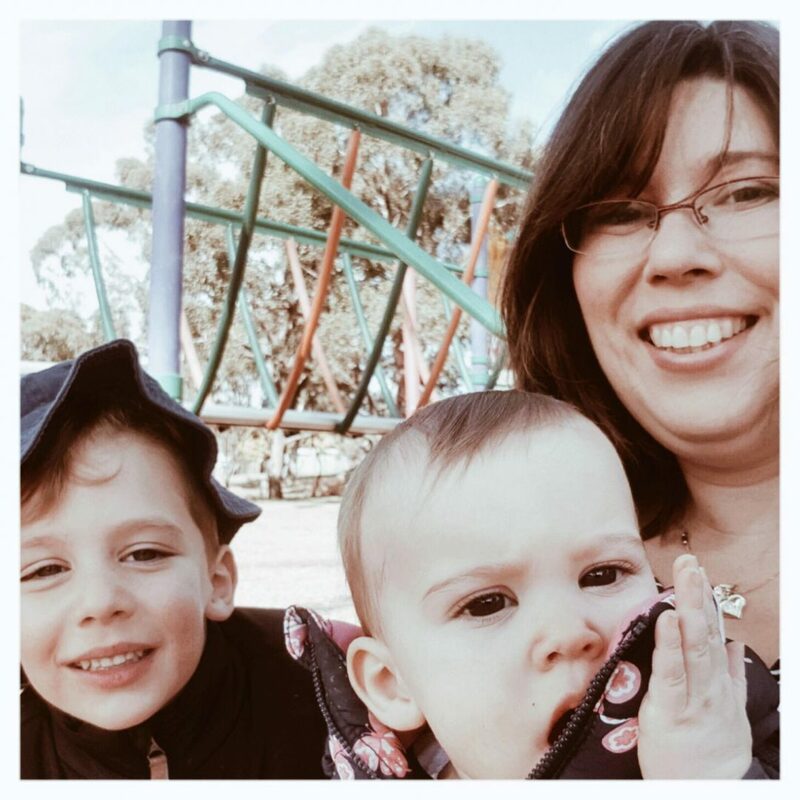 . .
I’m a busy wife and mum of two young children, aged one and five years old. I work from home, running a virtual administration business called Executive Office Support, as well as working for The Organic Place providing administration support. I enjoy both of these jobs. I love cooking for the family and getting out in our garden with the kids. When and why did you start to eat organic? When I was younger broccoli used to make me sick. As most parents do, mine told me to stop complaining and to eat my veggies. Later down the track we discovered that the reason I was getting sick was because I was reacting to the pesticides they use on broccoli. To eat broccoli I had to eat organic. At the point in my life when I fell pregnant I thought it was time to look into the chemicals and pesticides used on our produce. If I could react like that to broccoli, what other effects could it have? So we changed to organic. This was to ensure we could give our kids the best start in life possible, and we haven’t looked back. What do you think are the benefits of eating organic? Other than knowing that we are supporting local organic farmers and eating fresher produce, I know that I am providing the best food I can for our children. We are giving them a good start to life without the added chemicals and pesticides. Furthermore, the flavour and quality of organic is better: you cannot beat that full flavoured produce. When you eat organic and then have a piece of fruit that has been bought from the supermarket, they just cannot be compared. We grew up in a rural area with my grandparents living over the fence and my grandfather growing his own fruit and vegetables. Eating organic takes me back to picking fruit straight of the tree or munching on crisp beans. What barriers have you come across? When we started out eating this way, it was very hard to source organic produce in the western suburbs. Sometimes I would have to drive over 45 minutes to purchase it. I found an online organic delivery company, they charged $15 for delivery which I paid, but when they increased it to $25 we just couldn’t afford that. I didn’t know what to do. That’s when I found The Organic Place and I have never looked back. When changing to organic it is hard to get past the mentality we are used to, where we can just go to the supermarket and anything is available. Organic produce is seasonal and we have gotten used to eating only what is available. I planned my meals in advance each week according to what was available that season and at the markets each week. I had to be flexible and change it up if something wasn’t at the markets. What do you wish more people understood about eating organic? Although it seems to be more expensive, I don’t find there is much of a difference, especially when the produce is so fresh and lasts so long. I very rarely have to throw anything out that has gone off. I now do my main shop with The Organic Place, especially now that I can buy diary and meat. I only need a few things from the supermarket. When the produce is in season, it tends to actually be cheaper. I am finding that I am now saving money on groceries, even though I buy organic. It’s not as expensive as you think. Now that we eat primarily organic we could never go back. I am passionate about cooking and love the organic produce I can use to cook for my family. I am so glad that we not only have The Organic Place delivering us fresh organics but I have the chance to now work for them and something that I am passionate about. This entry was posted in My Organic Story Series, Other, The Organic Place and tagged Alisha, Certified Organic, Family, Health, Healthy, Healthy Eating, My organic Story, Organic, Organic Foods, Pesticides, Seasonal, Seasonal Produce, seasons, The Organic Place.